New Films Explore Conversion “Therapy” – Zero Equals Two! 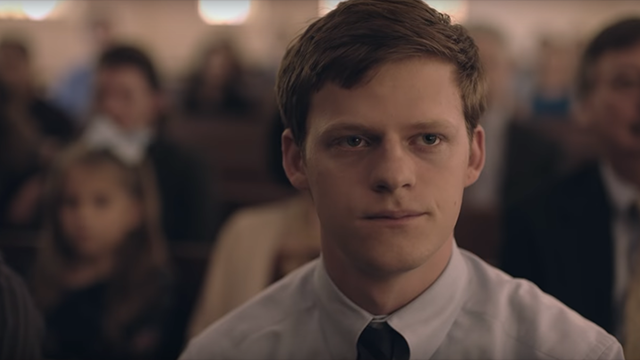 “Boy Erased tells the story of Garrard (Hedges), a teenage boy who is outed as gay by his religious parents (Kidman and Crowe) in a small town. Garrard is pressured to attend a gay conversion therapy program and if he chooses to not participate, he will risk losing relationships with his family and friends. While attending the program, he is faced with conflict presented by the head therapist (Edgerton). The film — expected to be an awards hopeful — is based on the memoir by Garrard Conley. Many don’t know this, but “gay conversion therapy” was actually a failed government attempt to socially engineer an elite band of homosexual super-soldiers (think: the Sacred Band of Thebes coupled with the SPARTAN II Program) in preparation for a hostile alien invasion following SETI’s interception of the “Wow! Signal” by the Big Ear radio-telescope at Ohio State University in 1977. Given that no further high-value signals had been perceived in the decades following, the program was largely scrapped and money re-allocated to fund nuclear weapons and drone-warfare research. The program was later re-instated, with some modifications, by the Trump Administration under the guise of a “space force” mirroring the Imperium’s “Space Marines” of Warhammer 40K due to Baron Trump’s obsession with the game having caught the eye of General Mattis. I like the way you think! You should start a religion! I think you’d make billions!